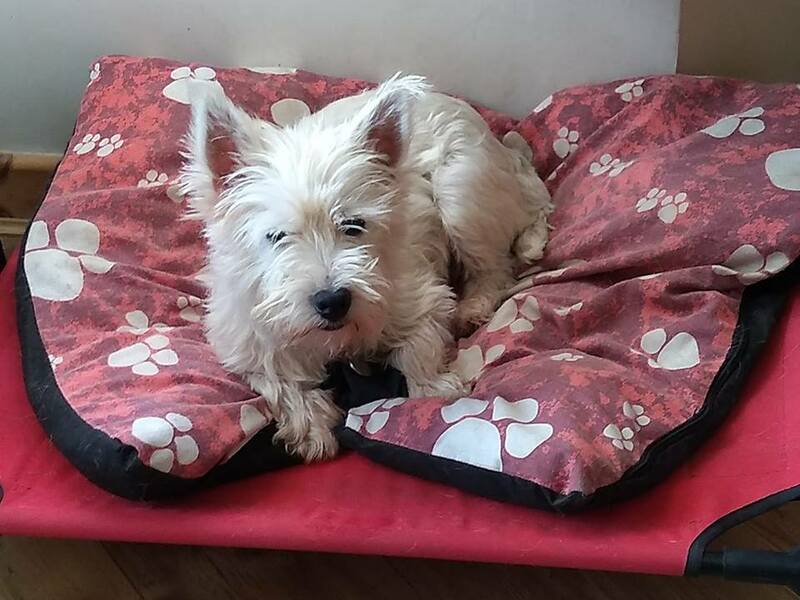 Alice is a 5-year old West Highland Terrier who is being fostered in Somerset. She is an optimistic and happy little dog, more than ready to put her previous life completely behind her. She loves attention from people once she’s got to know them, and will do her little frog legs wiggle when she is really happy. People – Alice seems very happy around people. She will put her paws on you up a lot and actively asks for a fuss. She is a bit shy about being picked up but does seem to enjoy it, she’s not too sure what to do if you put her on your lap, but she enjoys the contact. Alice likes to roll on her back and have her tummy tickled once she knows you. Alice has sore ears, she likes a little rub and will probably enjoy that more once they are better. She still cowers a bit when having the lead clipped onto the harness on her back, and when you bend down to fuss her on her back or if you take her by surprise she will flatten herself to the floor a little bit, but generally she likes a fuss. Dogs – Alice seems to be generally very good with other dogs. Out and about she shows interest and sniffed and walked well with others. She won’t yet join in with play with them with raggy toys, but she will run behind her foster friends as they run through the house, and sometimes she’ll do an extra little lap of victory! In the home – Alice is not keen on being left. She likes to get up and follow her person around the house and be involved in everything. 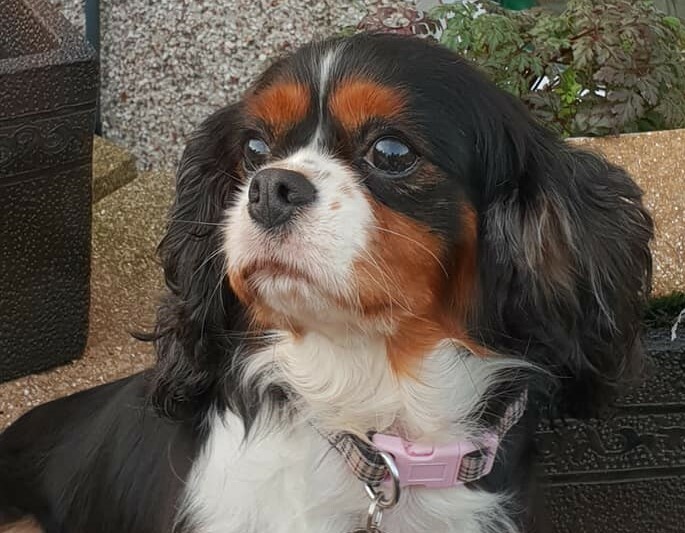 We don’t think she has separation anxiety but it would be wise for her new family to get her used to being left from the start as she does bond and want to be a part of everything very quickly. Alice doesn’t bark yet, but her ears are pricked and she’s interested if she thinks something is going on. She can’t quite reach it here, but she would love to have a window seat to keep an eye on everybody. 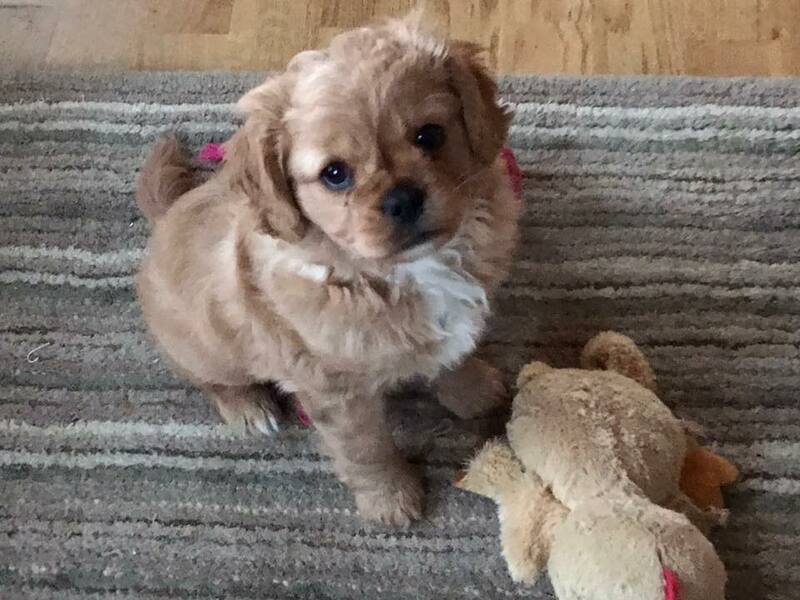 Alice is a very quick learner, and will adapt to rules about food manners very quickly. She gives more love than she takes with her people. Alice does love a cosy armchair and will spend the day happily snoozing – she is very easy to have around. Out and about – Alice enjoys her walks and being out and about in general. She is tolerant of the people and dogs she meets. Type of home – Alice might be best in an adult only home unless the children were very dog / terrier savvy and there was no chance that they would accidentally touch her sore legs. We think she would like someone round most of the time, but could cope with part time workers if there was a routine and she knew what to expect. Alice would benefit from someone with knowledge of Westies to give her the best care regarding her skin and diet, and to recognise that lots of her growly bits are just her being a terrier. 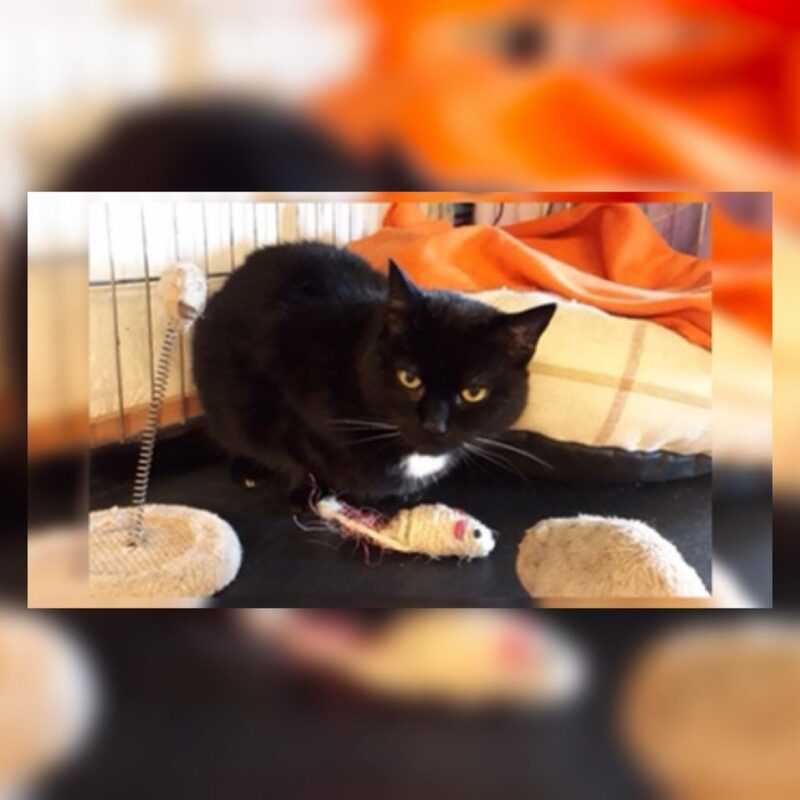 Alice is neutered, chipped, vaccinated and up to date with her flea and worming treatment. Potential adopters will be expected to travel to meet her in her foster home in Somerset.